Tibetans initially came to know about Sri Lanka by reading Buddhist texts, but they had their first direct contact with Sri Lankans in India. Most of these encounters took place at Bodh Gaya, where a huge monastic university maintained by Sri Lankan monks flourished from the 4th to the 13th century. The most interesting and detailed account of such encounters is found in the biography of Chang lo tsa-ba Cos-rge-dpal, better known by his Sanskrit name Dharmasvamin. This Tibetan pilgrim spent the three months of the rains retreat of the year 1234 in Bodh Gaya, where he had much contact with the 300 Sri Lankan monks who resided there. One day one of them asked him what book he was carrying, and when he replied that it was a copy of the Prajnaparamita Sutra the monk told he should throw it in the river. 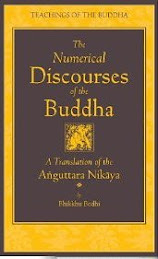 Then he added, ‘The Buddha did not teach the Mahayana, it was enunciated by one called Nagajuna, a man of sharp intellect.’ Despite such sectarianism, Dharmasvamin commented that the Sri Lankans always greeted him courteously and treated him with more kindness than did some of his fellow monks in Tibet. The Sinhalese for their part could not believe that Dharmasvamin was a Tibetan. He spoke such excellent Sanskrit, and all the Tibetans they had met before were wild and uncouth. It was only when they saw corns on his feet, something found only on boot-wearing Tibetans, that they finally believed him. An interesting example of co-operation between Tibetans and Sri Lankans at Bodh Gaya is recorded in the Mkhas-pai-dga-ston. According to this work, a yogi named Ugyen Sangge, on one of his frequent trips to India, made contact with the king of Sri Lanka and repaired the Mahabodhi Temple with his help. This is said to have happened around the year 1286. The Mkhas-pai-dga-ston also says that while the repairs were being carried out, Ugyen Sangge stayed at the north of the temple with 500 other yogis. The Sri Lankan monastery is known to have been located there, so this must be a reference to that establishment and its inmates. We cannot doubt that it was the Sri Lankan monks at Bodh Gaya who put Ugyen Sangge in contact with their king in the first place and that they had a mojor role in the repair work. Towards the end of the 13th century a Sri Lankan scholar-monk named Anandasri was in Bodh Gaya, probably teaching at the university. We hear of him in Tibet early in the next century teaching and translating Pali texts into Tibetan with the help of Nima rgyal mtshan dpal bzon po, one of Buston Rimpoche’s teachers. 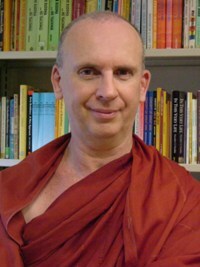 Buston himself is supposed to have been proficient in several languages, including Sinhalese, so perhaps he met Anandasri and studied the language from him. We do not know how or why Anandasri came to be invited to Tibet but it seems likely that a mutual respect and friendship between him and some Tibetans at Bodh Gaya had something to do with it. Around this same time the Sri Lankan Tantric Yogi Chandramala was also in Tibet translating texts with the help of Sakya Yeshi Brog-mi, although it is not known whether he arrived there from Bodh Gaya. The several works composed by Sri Lankans that were included in the in the Kangyur and Tengyur were probably brought to Tibet and translated by monks like Anandasri and Chandramala. These works include a selection from the Vimuttimagga, a commentary on the Saddharmapundarika Sutra by Prithibandhu and and Jayabanda’s Cakrasamvara Tantra. The most important of these works, Manjusrimitra’s Bodhicittabhavana, is one of the seminal texts in Atiyoga (Tib, rDzong chen). This work lacks much characteristic Atiyoga terminology and this may represent a branch of that school which evolved in Sri Lanka independently of India and Tibet. In the second half of the fifteenth century the Sri Lankan monk Dharmadivakara arrived in Bodh Gaya and then decide to go on from there to Wu Tau Shan, the Chinese mountain sacred to the Bodhisattva Manjusri, this place has long been popular with Tibetans, and while there Dharmadivakara met some who invited him to their country, where he taught widely. It seems, however, that the strain of several long years of travel, the strange food and the cold climate roved to be too much for him because we read that he died in India while on his homeward journey. A far more recent encounter between Tibetans and Sri Lankans took lace at Bodh Gaya at the beginning of the twentieth century. In 1929, when Rahula Sankrityayana was in Tibet, he found a palm leaf manuscript of the Pali Vinaya in Sinhala script, a discovery that greatly intrigued him. Later he found out that the manuscript had been given to the Panchen Lama by a Sri Lankan monk when the former had visited Bodh Gaya in 1905. During Tantra’s period of ascendancy from the 8th to the 12th centuries, Indian Tantric masters were in demand in Tibet and Sri Lanka. A significant number visited both countries, thus acting as mediums for the transmission of literature, ideas and information. According to the Blue Annals a Kasmiri monk had heard about the wisdom of the Sri Lankan master Gunaratna and had gone to the island to meet him. When this Kasmiri was about to return home, Gunaratna gave him a letter to deliver to the famous Tibetan teachers Rin-chen-dpal and Buston Rimpoche, both of whom he apparently had a deep admiration for. In the same work we read that rGyal-ba Rimpoche (1203-1267) was so renowned that the kind of Sri Lanka ‘sent numberous offerings to him.’ These and other similar fragments of information suggest that Buddhists in Kashmir and Tibet were well acquinted with the teachings of Sri Lankan masters and vice versa. 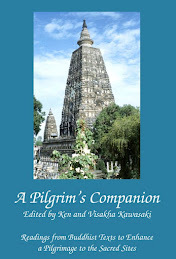 The Tantric Siddha Vanaratna (1384-1468) was another Indian who visited both countries. He went to Sri Lanka in about 1404 and studied meditation for six years under Dharmakirti. As India was no longer a congenial place for a Buddhist by the time he left Sri Lanka, he went to Nepal, from where he made several trips to Tibet. 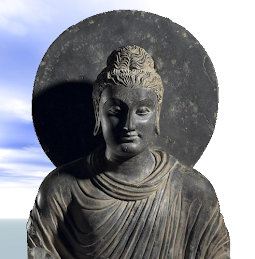 The last of these intermediaries between the two countries until modern times was the siddha Buddhagupta, who lived in the 16th century. He travelled very widely, spending considerable time in Sri Lanka, and made at least two visits to Tibet, where Taranatha became his disciple. Taranatha’s historical writings contain some information about Sri Lanka, some of which he must have got from Buddhagupta. Did srilankans ever have contact with the country of Urgyen ? which I think in truth is the modern day Georgia (ge-orgia). There is not mention of Urgyen (Uddyana) in any Sri Lankan sources. All the facts I am familiar with suggests that Uddyana was not Georgia but the Swat Valley in northern Pakistan. As we know history in general is a fleeting phenomenon. In scandinavian languages there are translations of the name George that are in official use, thus in finnish that name is Yrjö, which is pronounced exactly like the tibetan Urjan or Urgyen. In the swedish calendar there is the name Örjan. We know that Georgia is a very ancient country with a long history, and it is in the North-West from India. I take it as a fact that the georgian prince Padmasambhava flourished or lived from about 800 Before CE, and after visiting Tibet in 800 Common Era he went into the land of Rakshas, which is probably Zimbabwe (=Sambhava) in Africa. If you want some literary sources for the above, in Wikipedia there is an article about Mythologica Fennica, a book that was published by a swedish priest Cristfried Ganander in 1789. In that book there is a mention of the Land of Urjan. The wikipedia article is in finnish and in estonian only. There was a wikipedia article about Sampsoi Pellervo, which is a variation of the Padmasambhava-Lotusborn legend. Sampsoi is Sambhava and Pellervo is both a man's name and somekind of flower. Albeit the article has disappeared and it has been replaced by something else very recently!!! The name Pellervo is still in the finnish calendar. According to the disappeared wikipedia article Sampsoi Pellervo is related to the Greek Dionysos and to a Norwegian Hero-legend. As far as i know, according to both Sinhalese and Tibetan sources, Chandramala was a tantric bhiksuni/yogini from Sri Lanka, one of the last of whom we have found records of in the 11th century. "Tibet and Mongolian texts show that in the 11 century, Chandramali, a scholar of Tantric Buddhism under took the rigorous journey across the Himalayas to Tibet. Chandramali translated Buddhist Tantric texts in collaboration with a Tibetan monk, It is likely that she was the author of the text that bears the name Sri Candra Mala Tantra raja. Sinhala bhikkunis have also travelled to Nagarjunikonda in Andhra Pradesh." "The bhikkuni order was in existence, as a very positive force until the Chola occupation of Sri Lanka in the 11 century. There is no mention of it thereafter in the Sri Lanka records. 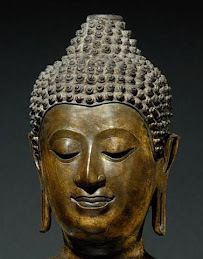 Sinhala bhikkuni are briefly mentioned in Burmese records of the 12th and 13th centuries."